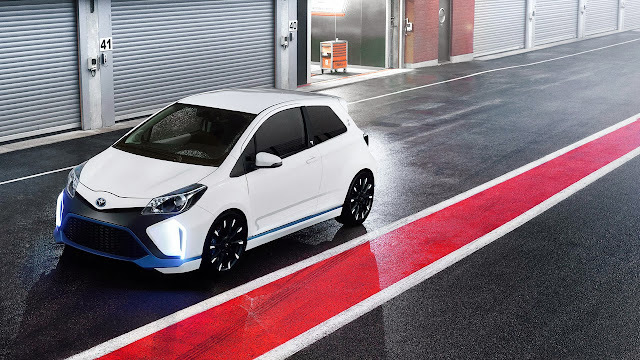 Based on the three-door Yaris, Hybrid-R features a 1.6-litre GRE (Global Race Engine) developed by Toyota Motorsport, combined with two powerful electric motors that give the car intelligent all-wheel drive capability. Using technology like that featured in Toyota’s TS030 Hybrid race car, energy recovered under braking is stored in a super capacitor, a unit that’s particularly suitable for use in a sports car thanks to its high power density and quick charge and discharge speeds. 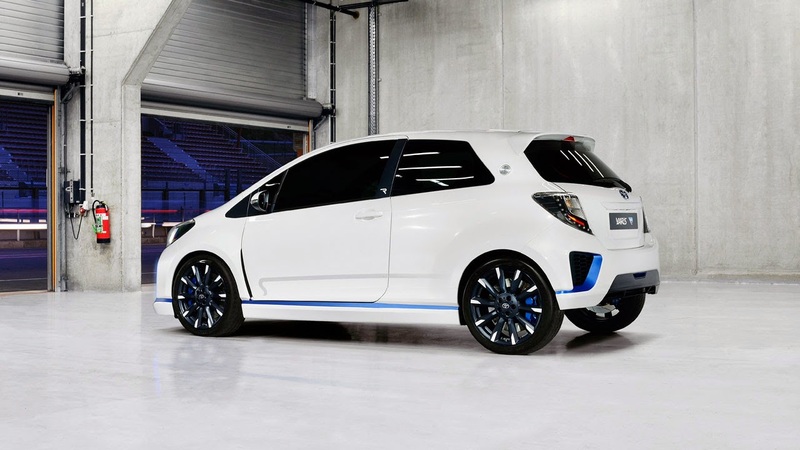 In simple terms, the powertrain features a 1.6-litre petrol Global Race Engine and two powerful electric motors that give the car intelligent electric all-wheel drive. It also makes use of a supercapacitor to harvest and store energy, just like Toyota’s TS030 Hybrid Le Mans car. The engine is a turbocharged four-cylinder unit with direct injection, developed by Toyota Motorsport (TMG) according to international sporting regulations. This means it can potentially be used in a number of different racing categories. 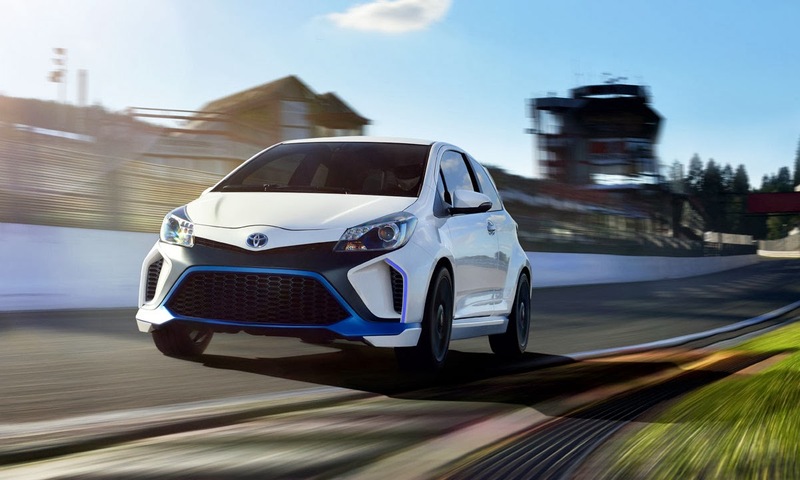 While the engine drives the front wheels, each rear wheel is powered by a 60bhp electric motor – the same as that used in the standard Yaris Hybrid. In combination, the elements in the hybrid powertrain produce maximum power of up to 414bhp (309kW). The two electric motors work as electric generators when the car is braking, and supplement the petrol engine’s performance under acceleration. Just as in the Toyota Racing TS030 Hybrid race car, energy recovered under braking is stored in a supercapacitor. Compared to the standard nickel metal-hydride battery used in Yaris Hybrid, the supercapacitor has a higher power density and a fast power charge/discharge speed. This makes it perfectly suited to the demands of track driving in delivering brief, immediate bursts of power. The level of power depends on the duration of energy delivery required. 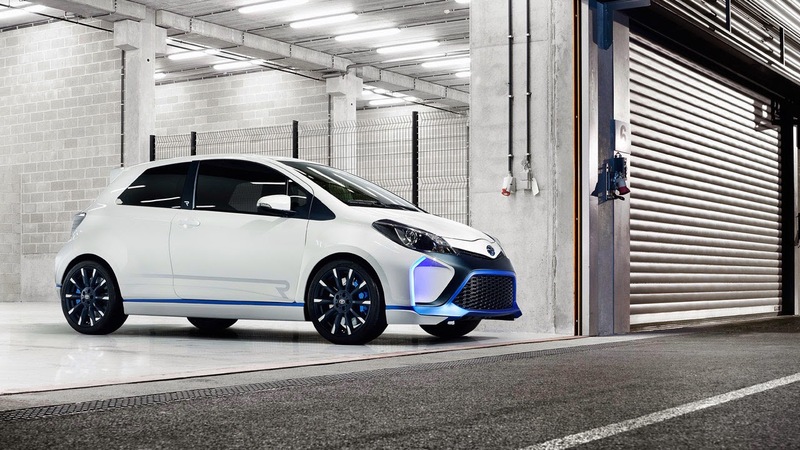 So, when Yaris Hybrid-R is running in “road” mode, the supercapacitor releases energy for a maximum 10 seconds per charge, and the total power of the two electric motors is reduced to 40bhp. In “track” mode, the motors reach a combined maximum of 119bhp for up to five seconds per charge, reflecting the more frequent braking and acceleration in circuit driving. A third 60bhp motor is located between the engine and six-speed sequential transmissions. This operates as a generator, both during deceleration to feed power to the supercapacitor, and during acceleration to power the rear electric motors. The latter only happens when engine power and torque exceed the front wheels’ grip limit. The generator works like an advanced traction control system, redirecting torque as electric energy to the rear wheels, to boost acceleration and improve handling rather than simply to limit engine power. The rear electric motors can have a big influence on Yaris Hybrid-R’s handling when cornering, by altering the torque distribution between the left and right rear wheels. Depending on the radius of the curve, the system can send more torque to the outside rear wheel, allowing higher entry speed into middle-speed bends; apply more braking force to the inside wheel in fast curves; or even brake and accelerate each wheel independently in slow bends to adjust the yaw effect for a better line, and to limit steering angle and understeer.